Earlier this week, I had explored why the sequence of index creation is important in a rather long post on performance tuning. You can read the post here: SQL Server – Performance – Best Practice – Create Index Before or After a data insert? Today’s post, therefore, will be a nice, small one – something that you might want to convert into a scheduled “spring-cleaning” task. 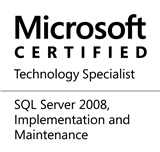 Microsoft SQL Server uses MSDB to maintain a record for each completed backup. In production environments, it is generally required that all backup history is maintained. However, in Development and Quality Assurance environments, maintaining database backup history is generally not that important – after all, databases change in these environments often. Please do not use these without guidance from your DBA! This entry was posted in #SQLServer, Blog, Imported from BeyondRelational and tagged #SQLServer on November 10, 2011 by nakulvachhrajani. How often we need to clear this Backup history ???? what are the major advantages of clearing the Bacup History performance wise ?? Generally, when I no longer have a database on a particular instance, I clear out the backup history for that particular database. As for the performance issues that may occur if the backup history is retained, I haven’t experienced any. However, personally, I like my servers to be clean and almost as good as new – which is why I typically perform a cleanup exercise once every quarter or so. Again, the key point to remember is that these cleanup routines would probably never be used in production, but in development and QA environments where databases are frequently changed or recycled, performing such cleanups is a good idea. Nice post, I have a question here. Do this backup history options work for all types of backups accordingly ?